Antarctica science has been major news recently, with the apparent discovery of gravitational waves by the BICEP2 (Background Imaging of Cosmic Extragalactic Polarization) telescope, sited at the South Pole. If confirmed, this discovery is of huge significance to our understanding of how the universe began, as it supports the inflationary theory of how the universe formed, which proposes that there was a sudden stupendous enlargement of the universe in the first infinitesimal fraction of a second after the big bang. This inflation would have created ripples in space-time (gravitational waves), according to Einstein’s general theory of relativity. Astrophysicists have been searching for signs of these waves in cosmic microwave radiation – the afterglow of the Big Bang – which fills the entire cosmos. However, it was known that such waves would be miniscule and incredibly difficult to detect, but if they could be detected, it would help to prove that inflation had happened. 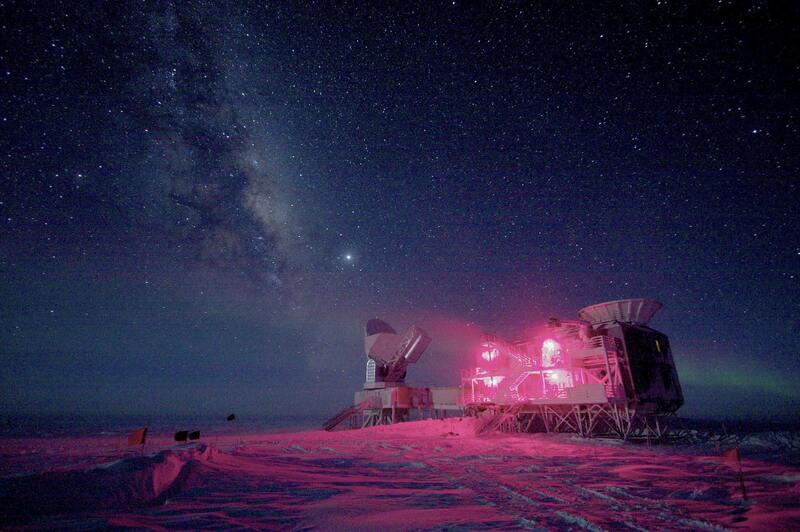 It is the dryness of Antarctica that makes it ideal for astronomical research, as atmospheric water vapour absorbs millimeter and sub-millimeter wavelengths, making it difficult to observe cosmic microwave background in most places on Earth. 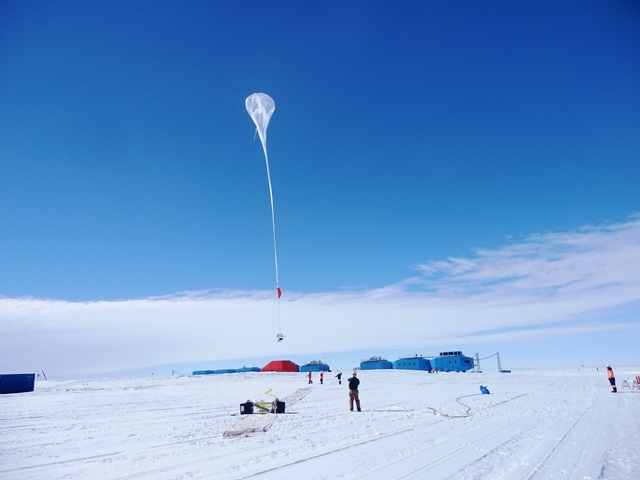 The combination of altitude – 11,000 feet – and cold (temperature averages -49° Celsius) in Antarctica makes for a very dry atmosphere. As an added bonus for astronomical research, nighttime lasts for six months. These conditions allow for optimum observation of very deep space. As well as astronomical research, much other important scientific research also takes place in Antarctica. Scientists come to the continent from around the world to study climate, astrophysics, marine biology, geology, ecology, and more. 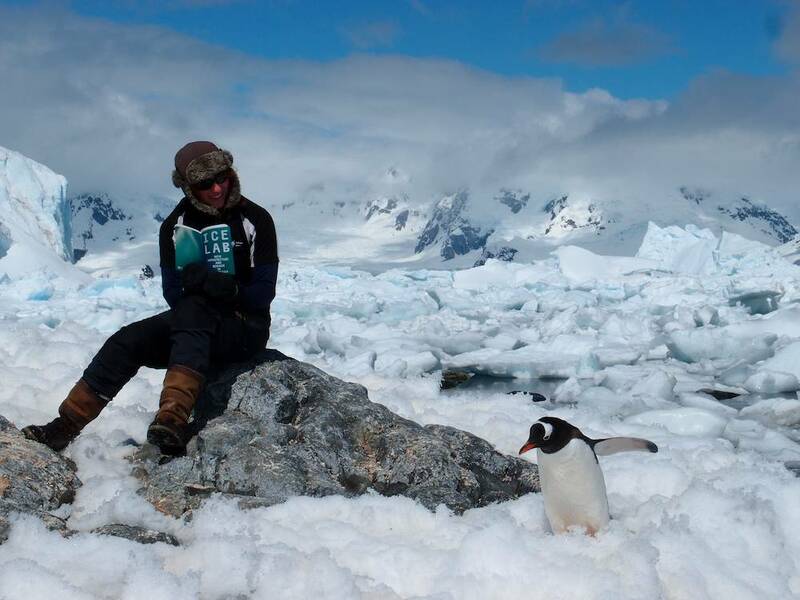 The Antarctic ice sheet plays a vital role in the functioning of the global ecosystem. It stores 70 per cent of the world’s fresh water, and the seasonal changes in Antarctica’s sea ice have a profound influence on atmospheric and water temperatures and weather patterns. As laid out in the Antarctic Treaty of 1961, Antarctica is a continent solely dedicated to science. But the extreme conditions of cold and dark in Antarctica make human life, habitation – and therefore scientific research – highly challenging. To undertake any scientific research in Antarctica depends not only on the quality and commitment of the scientists, but also on the nature of the scientific stations, facilities and equipment. At the Arts Catalyst, we’re excited that our curated exhibition, ‘Ice Lab: New Architecture and Science in Antarctic’, initiated and commissioned by the British Council, will tour to New Zealand’s IceFest in Autumn 2014, where it will show at the Canterbury Museum, Christchurch, from 26 Sept – 12 Oct 2014. ‘Ice Lab: New Architecture and Science in Antarctic’ presents some of the most innovative and progressive examples of contemporary architecture in Antarctica, which enables scientists to do ground-breaking research in extreme conditions, as well as showcasing some of the science that takes place there. 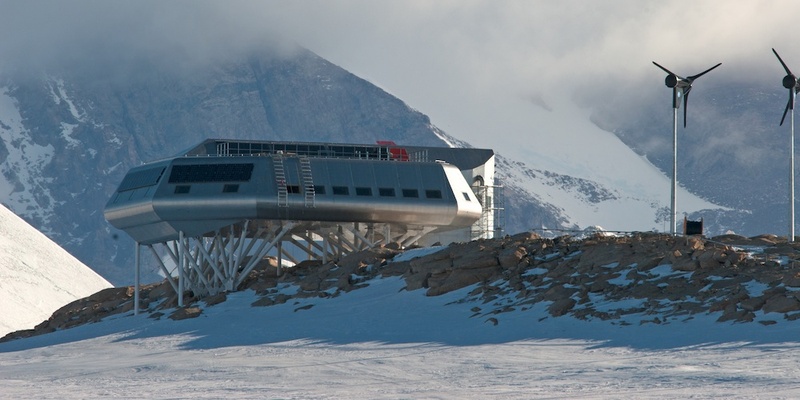 ‘Ice Lab: New Architecture and Science in Antarctic’ features architectural projects that not only utilise cutting-edge technology and engineering, but have equally considered aesthetics, sustainability and human needs in their ground-breaking designs for scientific research stations. 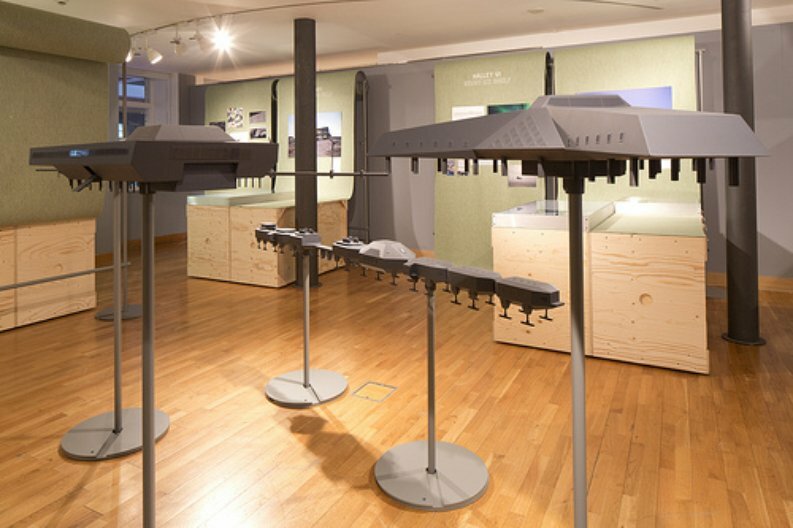 The exhibition features four international projects: Halley VI, UK (Hugh Broughton Architects), Princess Elizabeth, Belgium (International Polar Foundation), Bharati, India (bof architekten/IMS), Jang Bogo, South Korea (Space Group), and the Iceberg Living Station (MAP Architects) – a speculative design for a future research station to be entirely made from compacted snow. The featured stations are each architecturally pioneering – from Halley VI, the first fully relocatable polar research station, to Bharati, a striking modernist structure made from prefabricated shipping containers, to the Princess Elisabeth, Antarctica’s first zero-emission station, which seamlessly integrates renewables wind and solar energy, water treatment facilities, passive building technologies and a smart grid for maximizing energy efficiency. Ice Lab, previously shown at Lighthouse, Glasgow, and Manchester’s Museum of Science and Industry, includes original drawings, models, photographs and films of the stations, and highlights the diverse science that takes place in Antarctica – from collecting 4.5 billion year old meteorites that illuminate how the solar system formed, to drilling ice cores whose bubbles of ancient air reveal the earth’s climate history. As part of the exhibition, artist Torsten Lauschmann was commissioned to create two new artworks, ‘Whistler’ and ‘Ice Diamond’. Accompanying the Ice Lab exhibition, there is a publication – available in print form and as a free downloadable e-book – with essays by Dr David Walton (British Antarctic Survey) and Sam Jacob (co-founder of FAT architects). The Ice Lab exhibition builds on Arts Catalyst’s previous work on Antarctic issues, including Simon Faithfull’s 2006 Ice Blink exhibition of artwork resulting from his trip to Antarctica with the British Antarctic Survey, and the 2007 POLAR: Fieldwork & Archive Fever series, with Kathryn Yusoff and the British Library, which incorporated a symposium, public talks, a publication Bipolar, and two new artists’ commissions from Anne Brodie and Weather Permitting.